It could be argued that Christmas dinner is one of the most enjoyable aspects of the day, and a feast fit for a king deserves to be put on a beautifully laid oak table. Whether your Christmas dinner is being made for a family of four or served buffet-style for a party, make sure it’s served looking its best with these five tips. 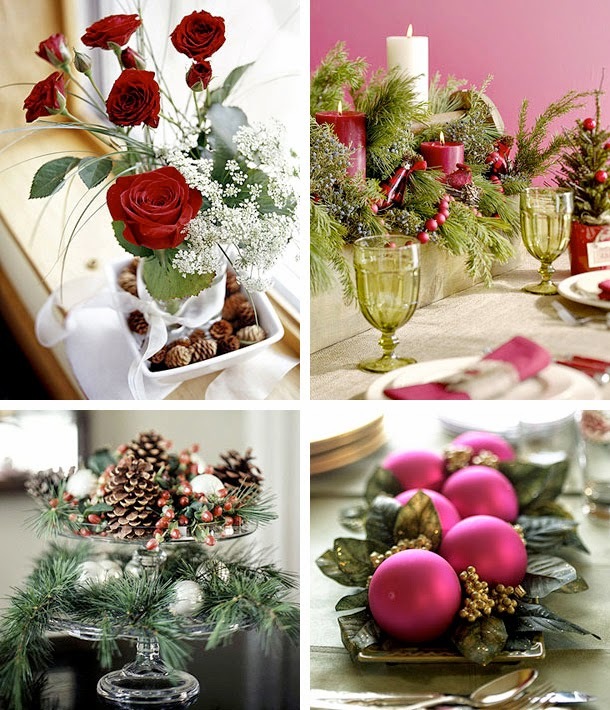 It doesn’t matter if you’re going for a festive feel or a more contemporary look, pick a color scheme and stick to it. 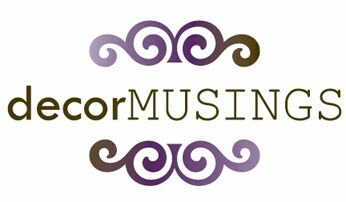 There is nothing more garish than throwing together clashing colors and hoping they turn out eccentric. Classic gold and silvers bring a touch of elegance to the table, whites provide a clean ‘Winter Wonderland’ feel and reds and greens really bring in the spirit of Christmas. 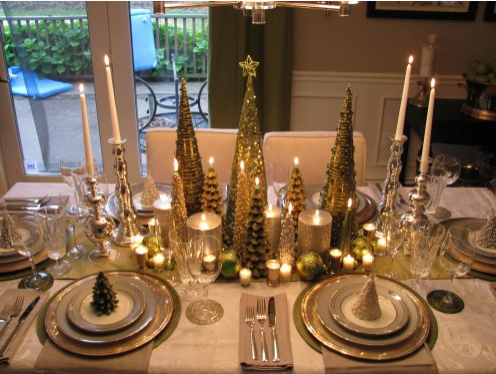 Christmas is the time for pushing the boat out: no matter how small the table, there should be a centerpiece. If you’re after a simplistic look, choose candles or sleek ornaments to provide a focal point on the table without detracting attention from the food. Those who want to impress: the sky is your limit! Use candles, ornamental bowls and visual points with differing heights to add texture without cluttering up the table. The fancier the centrepiece is, the more simple the color scheme should be, as you don’t want to leave your guests dazed and confused. Christmas crackers are a family tradition for many, but with the average cracker containing terrible gags, flimsy hats and naff gifts that will just end up in the bin, it’s time to step up your game. 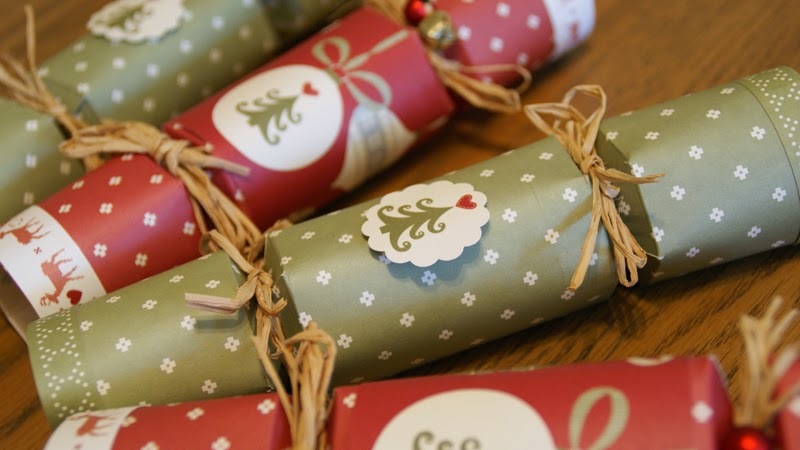 Homemade crackers are simple to make, and a great way of getting the kids involved in the festivities. You can choose a personal gift to go inside each cracker so you know everyone will get something they love, and put in a few real ‘dad jokes’ to get everyone grinning. 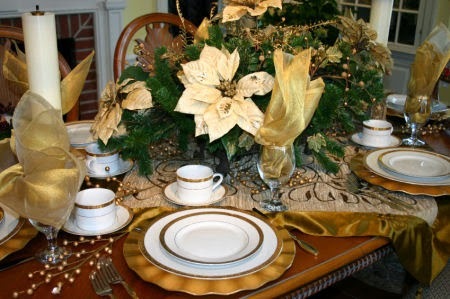 Christmas only comes once a year, so why not use it as a time to bring out your fine china and expensive cutlery? Layering up your crockery allows you to show them off and air them out while creating a picture-perfect table setting. Whether it’s a sprig of holly, a sprinkle of snow or an angel topping the centerpiece, don’t forget to add a few Christmassy touches to the table. It will bring a smile to everyone’s face and add a touch of Christmas cheer. 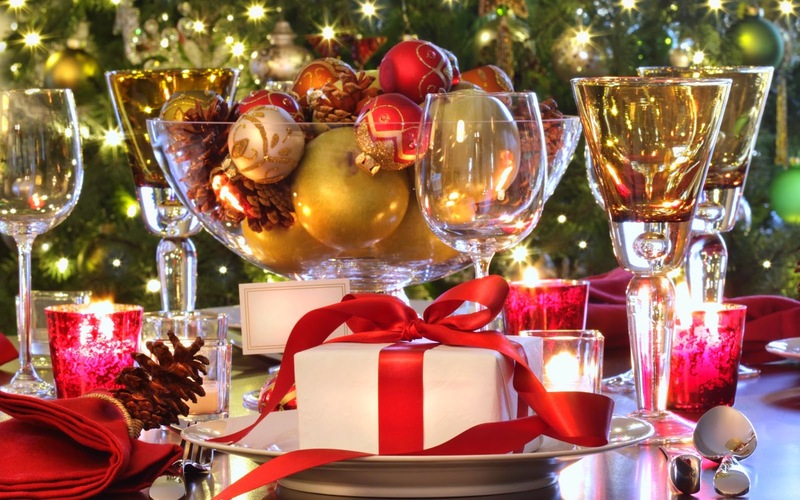 Christmas dinner can be a stressful meal to cook, with the threat of undercooked or overcooked food and overcrowded ovens lurking at every corner, but once it’s all set out on your perfect Christmas table, it will be worth it. I've always been a sucker for stationery, and the holidays are the perfect time for a paper lover like me. Minted is the perfect place to find everything from save the dates (check out their new collection) to the cutest New Year's cards at amazing prices. The site features a mix of design styles, too. So if you're into a traditional style or prefer a more modern design, there are certainly a good amount of options to choose from. I've placed a few orders over the past few months and have been very pleased. 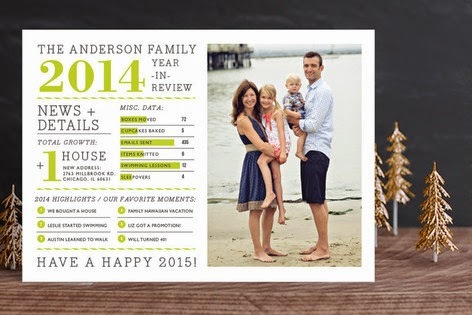 My favorite Minted design for the new year is its "Family Year in Review New Year's Photo Card." You can snag them for under $2 each and it's a great way to inform your loved ones of the accomplishments your family has made over the past year. I rarely save cards, but if this one were mailed to me, I'd have to hang on to it. Every once in a while, I have to step a bit outside of the home decor world to share my love of a product that's just so good. Warby Parker frames fall into this category. I don't wear glasses every day, so I hate to spend a crazy amount of money on frames I'll likely update every year or so. 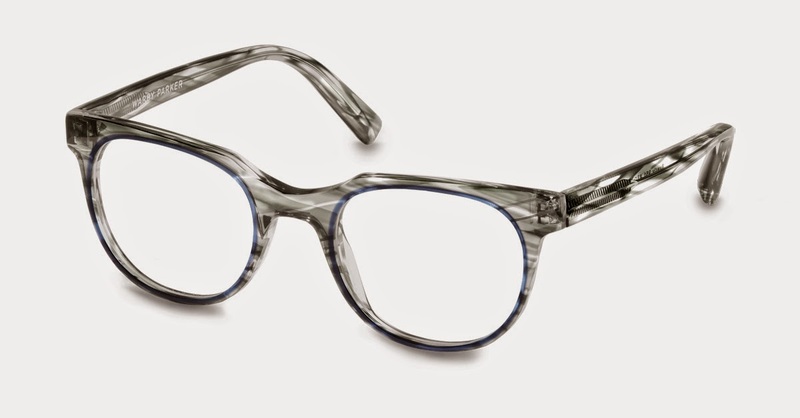 Warby Parker eyeglasses are affordable (they start at about $95), durable and come in a bunch of stylish colors that any blogger would love. Who wouldn't want their glasses to be just as stylish as their home? Check out the brand's new Concentric Collection of eyeglasses and sunglasses. I especially love this Whistler Grey style (also shown above).